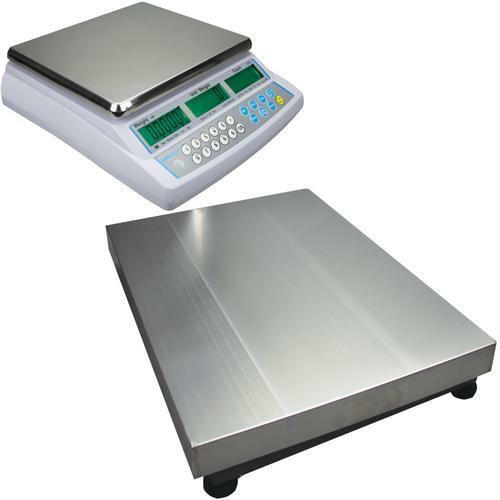 The CBDa scales feature a remote scale input that can support external bases with up to 4 loadcells for enhanced counting and weighing functions. 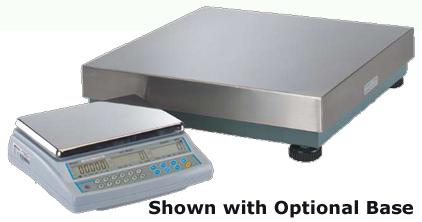 Using the second scale you can use the local CBDa scale to weigh more accurately, then use the remote base to do a larger count and weight at one time. Or you can set up a remote scale to get a finer increment and use the local scale for the bulk weighing. The CBD offers powerful counting processing in a simple to use and set up scale. The CBDa scales feature a remote scale input that can support external bases with up to 4 loadcells for enhanced counting and weighing functions. 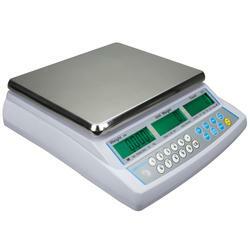 Using the second scale you can use the local CBD scale to weigh more accurately, then use the remote base to do a larger count and weight at one time. Or you can set up a remote scale to get a finer increment and use the local scale for the bulk weighing. Either way the CBD gives you the flexibility and control you want so you can count a larger range of parts with one machine and base combination. Backlit LCD displays with 0.8” / 20mm digits show weight, unit weight and count. 100 product look up memories (PLU’s) can be set for the most common parts. Save unit weight, tare weight and a description for easy recall or printing. The scale can print a list of PLU’s stored in memory. Expanded bi-directional RS-232 interface can communicate with printers and computers. Data can be sent to the scale to program the PLU’s. Set the RS-232 to print continuously, when the print key is pressed or automatically when a new count has been recorded. Alpha-numeric keys are easy to read and have a positive push feel. Color coded keypad highlights the most frequently used keys. For cycle counting or when doing a parts stock check use the pre-set tare - using the full numeric keypad enter a value for a known container, then enter the unit weight and the machine will automatically give you the total count. Preset count alarm can notify you when a certain count has been reached. Use this feature if you are batching or packing parts to a set quantity. CBD bench counting scales provide the right solution to help tackle complex counting procedures, boosting productivity in industrial settings such as factories and warehouses. The user-friendly, intuitive software tracks counts and automatically optimizes the unit weight for greater accuracy.Use the unit alone or connect it with an external base to increase capacity in complex counting applications. Designed to be durable, the CBD features sturdy ABS housing and a rugged grade 304 stainless steel platform that withstands demanding manufacturing environments. RS-232 or USB (optional) interfaces simplify connectivity, while PLU memory stores a range of items for recall.